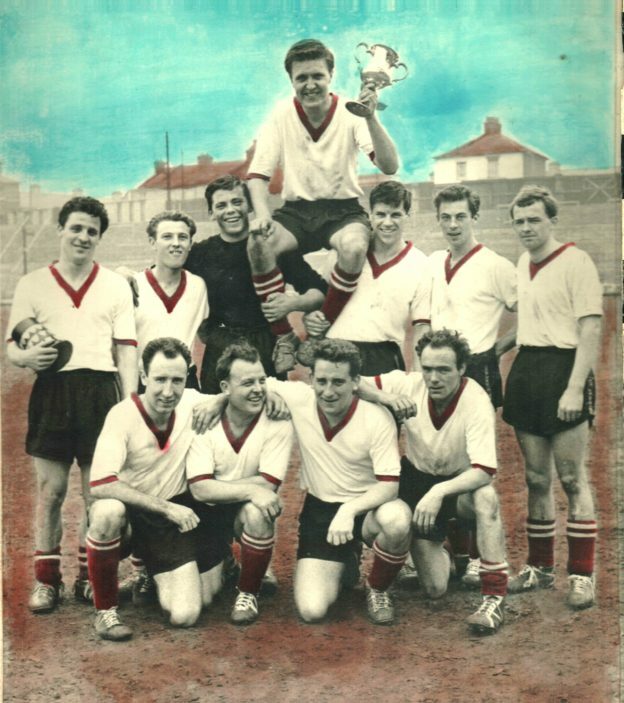 Prestwick FC played Swillet FC in the Cup Final of the Challenge Cup in the early 60’s. The game was played at Watford Football Club and Prestwick FC won. 2-1. 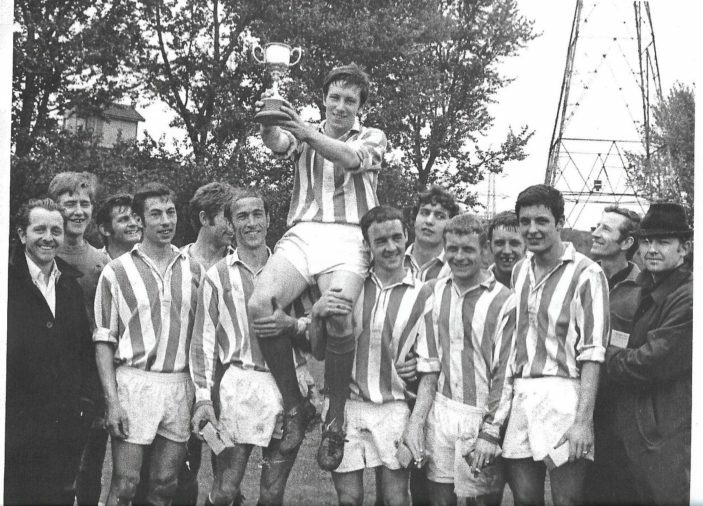 Oxhey Estate United won this cup in the 1968 / 69 season. My name is Bob Dear. I lived in Hayling Road and Buxton Path from 1950 till 1961. I can help you with some details of the Prestwick FC photos. 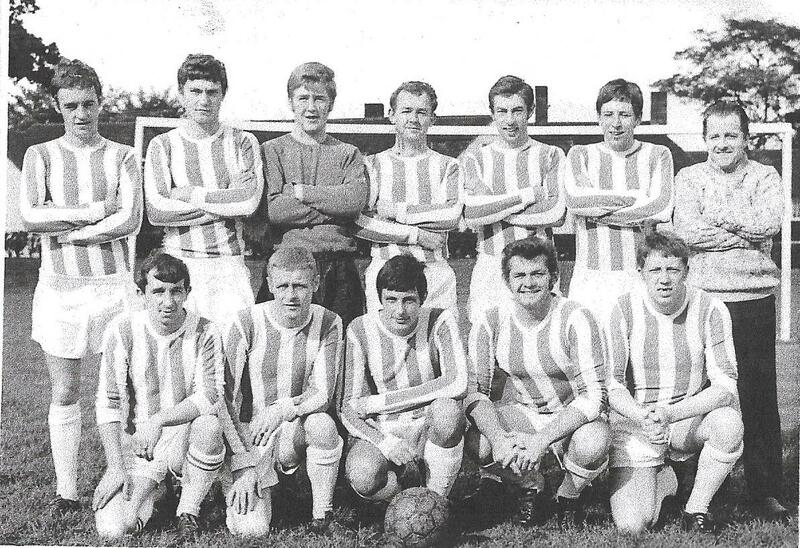 In the first photo I am far left on the back row next to Peter Watt. In the Cup Final photo I’m in the front row, third from the left, again next to Peter Watt. In those days I was known as Bobby Dear. The photos are earlier than you say. I left the Navy in 1958 and joined Rickmansworth FC. 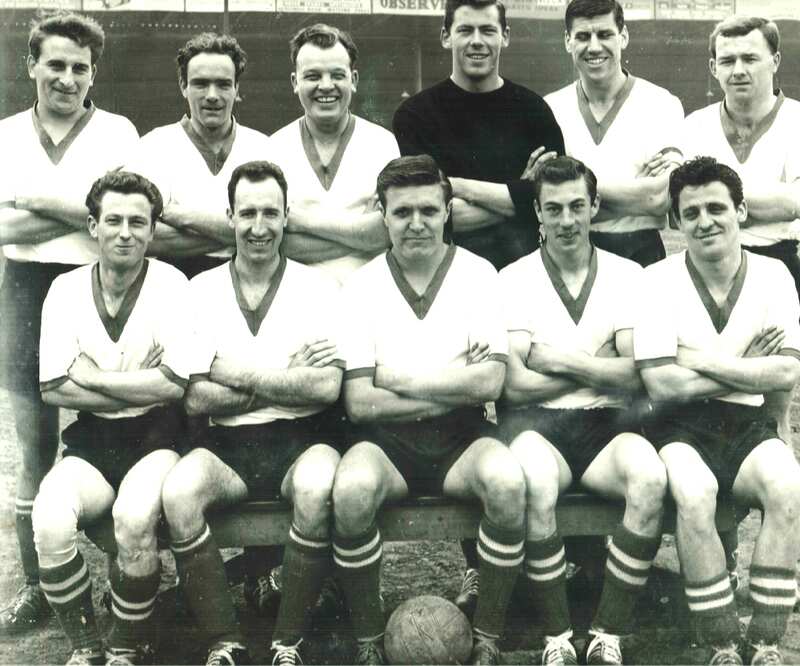 In 1959 I transferred to Prestwick FC. In 1961 I migrated to Australia. So I think this cup final was probably in 1959 or 1960. I can remember all of the faces but none of the names that aren’t listed. A few of us in the team came up through Carpenders Park BL Juniors, managed by Alan Patterson’s father. The guy next to Peter Watt in the first photo was our centre half. He was a few years older than most of us. I was also a defender and he organised us beautifully in passing the ball around at the back until we found a way forward. No kick and rush as was pretty normal back then. Peter Watt was a fine header of the ball and Colin Boote was a very promising young keeper. As far as I remember, Jimmy Pitt was a policeman and was sometimes dropped off at our games or training by a police car. Charlie Connors was always classy and stylish. Several were printers in the local industry. All great blokes and thanks to Ron Voss for posting the photos. My best wishes to all that are still around.